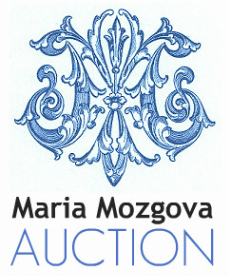 Maria Mozgova Auction Provides Premier Estate Auctions Services. Maria Mozgova Auction provides complete estate liquidation services. We work with families who need professionals who are knowledgeable about values so they can get as much as possible from the estate. We're able do this because we have over 30 years of combined experience taking care of families and their belongings. We handle the sale of fine art, antiques, collectibles, vehicles, jewelry, designer furnishings and all sorts of household goods. Through our database of collectors, dealers, private parties, and interior decorators, we find the appropriate buyers for all of your belongings. Our goal is to secure the best price possible for each individual item. Our services include personal property appraisals, general estate liquidation services, estate auctions, estate sales, private sales and auction placement. We offer a free consultation to assess the best way to see the process through from start to finish. We have been in business for more than 15 years and have conducted countless sucessful estate sales and estate auctions. Many of our past clients continue to provide positive referrals to friends, colleagues, and family members in need of our services. We schedule estate auctions four to six times a year. Each auction is comprised of fine art and antiques from a combination of estates and private collections. Every auction is locally and nationally advertised in a variety of publications and specialized media, providing consignors with the best possible exposure for their property. Each auction is accompanied by an on-line catalogue wherein every item is appropriately described and estimated. Our website also features images of all the items in the auction and directs buyers from around the US to our sales.